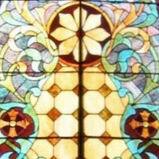 Directory listings of Lutheran churches across the world. Proclaiming God's reconciling Grace in Jesus Christ through Word and Sacrament while educating, equipping, and empowering each other. ELCA church in the Appleton/Fox Cities area. We believe we are to Welcome, Renew and Serve all in, through and as the body of Christ. Our weekly Menâ€™s Bible Study includes: video clips, written hand out materials, questions/answers by participants and open discussion covering subject matter being discussed on the Bible. Community Lutheran Church is part of the ELCA family.Youth are actively participating in learning and living. Lutheran Church Reading Area, affiliated with the Evangelical Lutheran Church of America, and belongs to the Northeastern Synod. Friedens is a liturgical church using the Lutheran "Book of Worship" and the Lutheran "With One Voice" supplement. Join us at 8AM or 10:30 AM for a Gospel Centered and Grace Filled worship service. We have OPEN Communion so all are invited -- please join us! Trinity Lutheran Church Girard, IL is a small church which is between Virden and Girard Illinois.